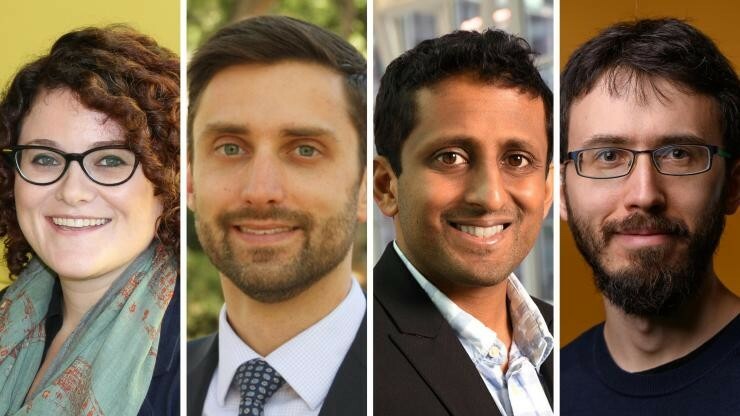 Four Georgia Tech faculty members, including one from the George W. Woodruff School of Mechanical Engineering, have been awarded research fellowships from the Alfred P. Sloan Foundation. The fellowships, awarded yearly since 1955, honor early-career scholars whose achievements mark them as among the most promising researchers in their fields. Past Sloan Research Fellows include many towering figures in the history of science, including physicists Richard Feynman and Murray Gell-Mann, and game theorist John Nash. Forty-seven fellows have received a Nobel Prize in their respective field, 17 have won the Fields Medal in mathematics, 69 have received the National Medal of Science and 18 have won the John Bates Clark Medal in economics, including every winner since 2007. Eva Dyer is an assistant professor in the Wallace H. Coulter Department of Biomedical Engineering at Georgia Tech and Emory University. She holds a Ph.D. in electrical and computer engineering from Rice University. Dyer’s research interests lie at the intersection of machine learning, optimization and neuroscience. Her lab develops computational methods for discovering principles that govern the organization and structure of the brain, as well as methods for integrating multi-modal datasets to reveal the link between neural structure and function. 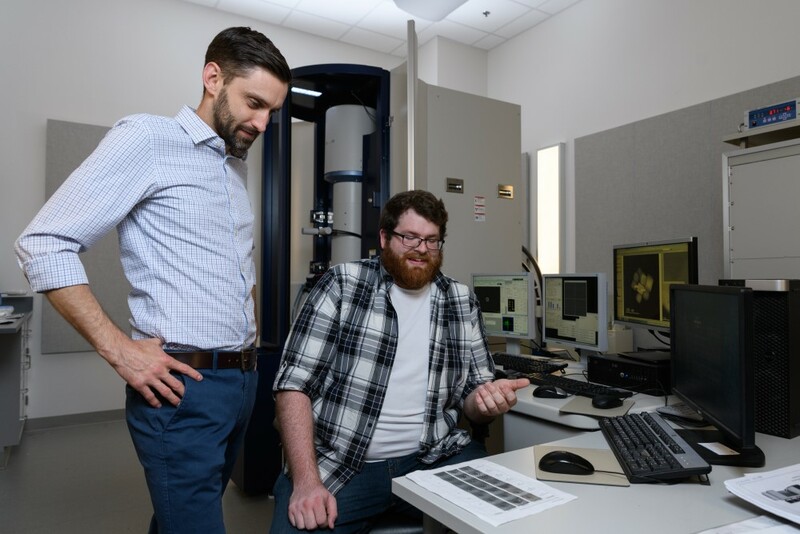 Matthew McDowell is an assistant professor in the George W. Woodruff School of Mechanical Engineering and the School of Materials Science and Engineering. His research focuses on understanding how materials for energy storage and electronic devices change, transform and degrade during operation. He holds a Ph.D. from the Department of Materials Science and Engineering at Stanford University. His research group uses situ experimental techniques to probe materials transformations under realistic conditions. The fundamental scientific advances made by the group guide the engineering of materials for breakthrough new devices. Current projects in the group are focused on 1) electrode materials for alkali ion batteries, 2) materials for solid-state batteries, 3) interfaces in chalcogenide materials for electronics and catalysis and 4) new methods for creating nanostructured metals. Chethan Pandarinath is an assistant professor in the Wallace H. Coulter Department of Biomedical Engineering and in Emory’s Department of Neurosurgery as well as the Emory Neuromodulation Technology Innovation Center. Pandarinath also leads the Emory and Georgia Tech Systems Neural Engineering Lab. He holds a Ph.D. in electrical engineering from Cornell University. Pandarinath and an Emory-Georgia Tech team, including biomedical engineers, neurosurgeons and neurologists, are working to better understand how large networks of neurons in the brain encode information and control behavior by using sophisticated methods from the fields of artificial intelligence and machine learning. In studying the activity of these brain networks, Pandarinath’s team hopes to design new brain-machine interface technologies to help restore movement to people who are paralyzed, including those affected by spinal cord injury and stroke, and by Parkinson’s disease and ALS. Konstantin Tikhomirov is an assistant professor in the School of Mathematics whose work is at the intersection of asymptotic geometric analysis and random matrix theory. He studies the geometry of high-dimensional convex sets with the help of probabilistic tools and using random linear operators, and the spectral distribution of random matrices by applying methods from discrete geometry. He holds a Ph.D. in mathematics from the University of Alberta. His research directions have multiple connections with applied science, in particular, for numerical analysis of large systems of linear equations, modeling communication networks and studying certain physical systems with large numbers of particles. Valued not only for their prestige, Sloan Research Fellowships are a highly flexible source of research support. Funds may be spent in any way a fellow deems will best advance his or her work. Drawn this year from 57 colleges and universities in the United States and Canada, the 2019 Sloan Research Fellows represent a diverse array of research interests. Open to scholars in eight scientific and technical fields — chemistry, computer science, economics, mathematics, computational and evolutionary molecular biology, neuroscience, ocean sciences and physics — the Sloan Research Fellowships are awarded in close coordination with the scientific community. Candidates must be nominated by their fellow scientists, and winning fellows are selected by independent panels of senior scholars on the basis of a candidate’s research accomplishments, creativity and potential to become a leader in his or her field. Winners receive a two-year, $70,000 fellowship to further their research. The Alfred P. Sloan Foundation is a philanthropic, not-for-profit grant making institution based in New York City. Established in 1934 by Alfred Pritchard Sloan Jr., then-president and CEO of the General Motors Corporation, the Foundation makes grants in support of original research and education in science, technology, engineering, mathematics and economics.